In order to maintain the highest possible quality of care, only licensed highly trained, professional personnel provide services here. Our therapists work with the most advanced technology available and, through continuing professional education programs, are constantly exposed to the latest techniques. Perhaps even more importantly our therapists are committed to providing the warmth and compassion necessary to support patients and their families. Physical therapy helps patients return to a more normal, active life as quickly as possible by improving and maximizing physical strength and functioning. To accomplish this goal our physical therapy staff first thoroughly evaluates each patient’s dysfunction, Individual goals and treatment programs are developed in conjunction with the referring physician, the patient, the patient’s family and other members of the rehabilitative team. With the help of these programs patients return to a more normal active life.  Our state-of-the-art facilities are located in the Rehabilitation Services building across from the CMC Emergency Department in Aynor and in Carolina Forest. Complete with the most modern equipment available in the area, and staffed with certified therapists, our facilities afford patients the best opportunity to achieve their desired goals and recover to a higher degree of functioning. Please fax referrals for this office to 843-234-5114. Please fax referrals for the Aynor office to 843-234-7495. Please fax referrals for the Carolina Forest office to 843-236-8823.